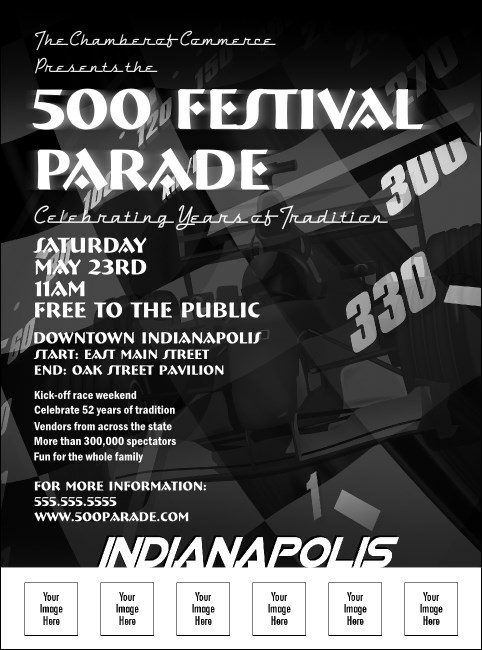 Whether you’re planning a festival of a backyard barbecue the sporty and bold black and white Indianapolis Flyer is a great way to promote your next event! Decked out with a speedometer and space for six custom images, this flyer is a must have for any local gathering! Go full throttle! There is a matching event kit available through TicketPrinting.com.